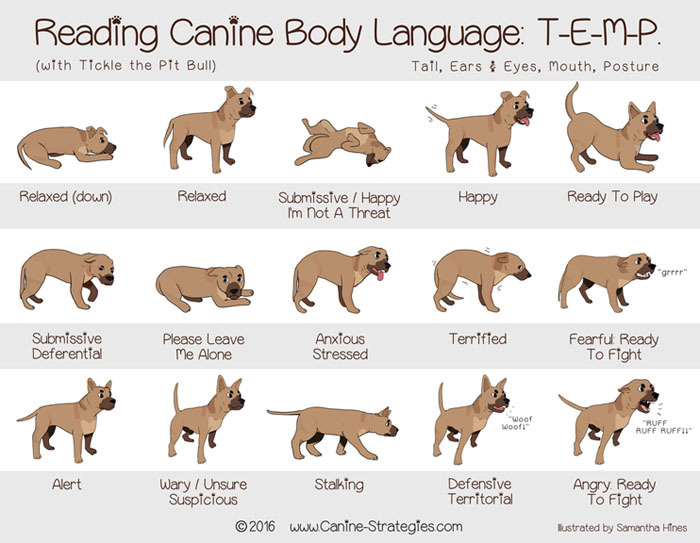 Understanding your dog’s body language is very important, especially when around strangers, small children or new dogs. Bites can happen in an instant. Children often want to hug a cuddly dog and often go in face first. This can frighten even the most stable dogs. A playful encounter can quickly turn antagonistic. Odds are a dog’s sharper teeth and claws will win out over a young child’s softer skin most every time. At the Peaceable Kingdom shelter, we deal with scared dogs all the time. 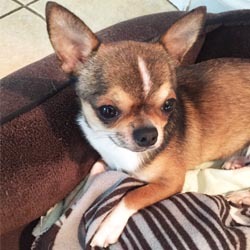 These animals come in from off the streets or have been surrendered and sometimes abused. We learn very quickly how to read a dogs clues in order to protect both ourselves and our new guests. 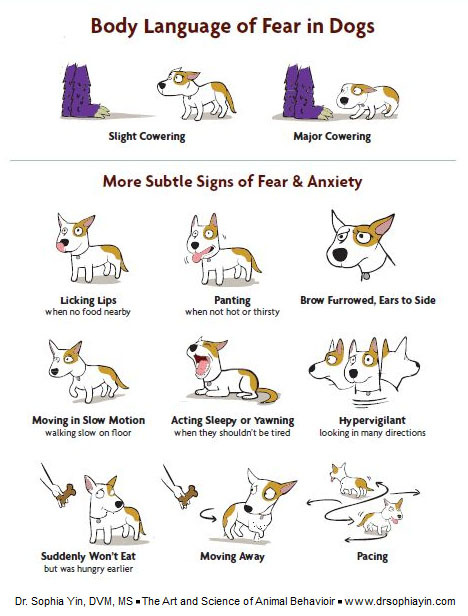 There are obvious signs that a dog may be preparing to bite whether as part of an aggressive behavior or in a defensive manner. Growling, tail and ears pinned down, and intense eye stares are all well known indicators. Clearly in these cases the dog needs to be handled with extra care or better yet, left alone. But stressful situation can also cause a dog to act out. So-called “displacement behaviors” are normal behaviors displayed out of context and can indicate conflict and anxiety. The dog wants to do something, but suppresses the urge to do it, and displaces it with something else such as a lick or a yawn. A dog making a simple yawn or displaying half-closed eyes are indicators that the animal may not know how to deal with their immediate situation. Even a raised paw can mean that they are a little scared and thus should be left alone. have been avoided if the owner was paying better attention. A happy dog has a wagging tail and a happy expression. He may play bow and roll over. All other body language should be closely observed. Thus it is essential to never leave a new dog alone with a child as the young one does not have the experience to properly interpret this kind of body language. Dogs can also be food aggressive as well as extremely protective of a toy, or even their private space inside something like a box or crate. Never think that any dog, whether your own or a new animal, will not bite you. You may be well-meaning with your intentions, but your pet may reacting to other stimuli that is causing it to be anxious or scared. A good example of this is at the Vet’s office where the surroundings may not be so familiar or there are other animals causing a stir in the background. Add that to the possibility of being poked and prodded and you can imagine how unsettled they can become. Sometimes a quick nip is their first defense. My two sweet senior rescues are wonderful with everyone 99% of the time. But they do become terrified during a trip to the doctor’s office and I have to be considerate of their temperament.